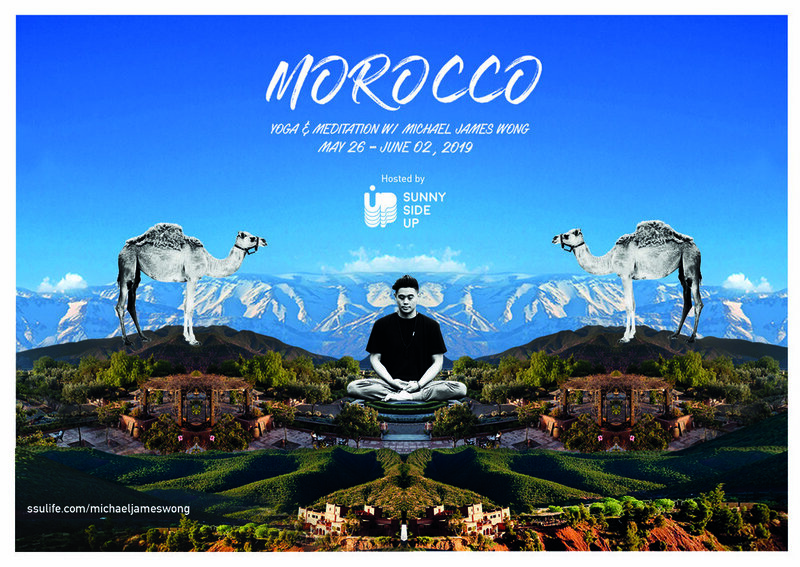 Join Michael James Wong in the magic of Morocco for a cultural adventure and an escape into the unknown. We’ll start our journey with an immersion into the vibrant sights and sounds in the ancient city of Marrakech. With 2 x daily yoga classes & daily meditation, we’ll dive deep into the experience and have a great time doing it. Retreats are a great way to step away from the everyday, and step into the culture and community of our destination, so through this trip we will actively seek authentic ways to immerse ourselves in Moroccan life and culture. We’ll explore away from the mainstream with our cultural guides from Sunny Side Up Retreats. Charaf, a personal friend and native of Morocco, will guide us throughout the week immersing us in his homeland, from its Berber origins to its vibrant cultural scene, sharing a slice of what it means to be Moroccan today. After a few days in the city, we’ll travel by mini-bus up the Atlas Mountains to our spacious Casbah nestled quietly in the mountains with 360 degree view of the majestic countryside. Here will be our home for the remainder of the week with so much on offer to enjoy the time away during this holy month of Ramadan. With morning and afternoon yoga both inside in the shala and outside on the deck, we’ll dive deep into experience together and enjoy the community of yogi’s from all around the world.